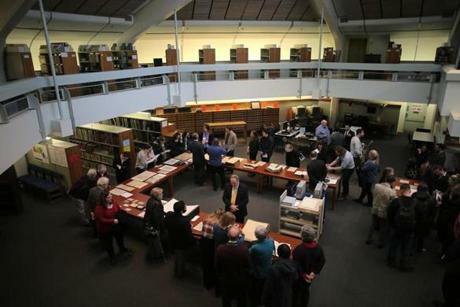 Guests examined items at the Massachusetts State Archives at the opening of a new archival storage space in Dorchester. 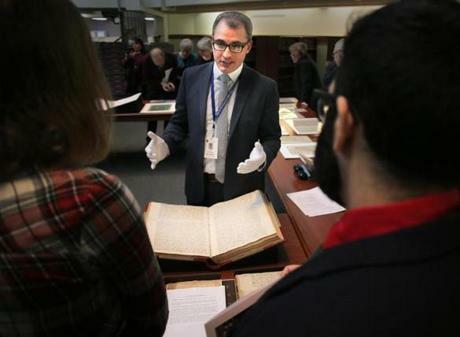 Massachusetts officials on Tuesday unveiled a new vault to store the commonwealth’s myriad historical treasures and documents accumulated over nearly four centuries. The expanded 25,000 square-foot space in Dorchester allow the archives to grow after the Columbia Point building reached a “critical point” of limited space, said Michael Comeau, executive director of the archives. The space also features modern environmental and security controls. John Hannigan, head of reference services, explained the story behind an item to some visitors of the archives. The State Archives, which is under the jurisdiction of Secretary of State William F. Galvin’s office, holds permanent records of Massachusetts’ history. 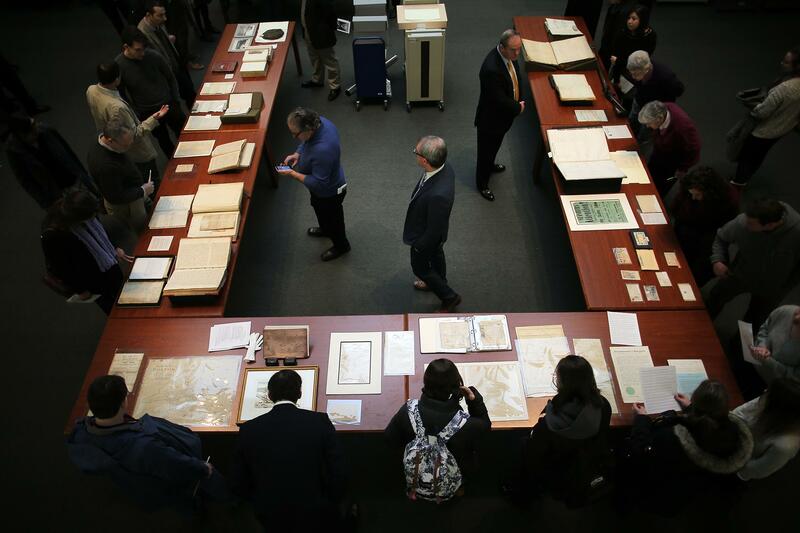 To mark grand opening, selected highlights of our rich past were on display Tuesday, including documents from several founding fathers, an engraving plate by Paul Revere, items from the trial of Sacco and Vanzetti, and trial papers from the Boston Massacre. 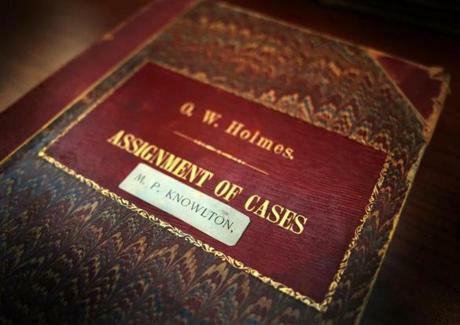 The opening follows a recently announced online digital archive base that allows users to search for specific documents. Comeau said this was done to increase public accessibility to some archives. The increased space was necessary to bring in more records and to preserve the history of the Commonwealth, said Debra O’Malley, Galvin’s spokeswoman. 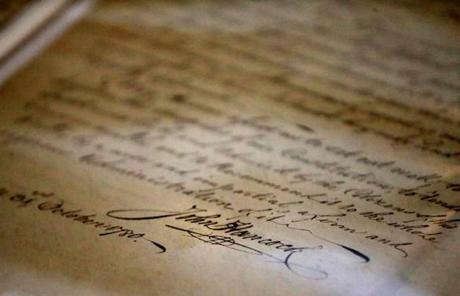 “As long as there’s a Massachusetts, there will be an archive,” O’Malley said. 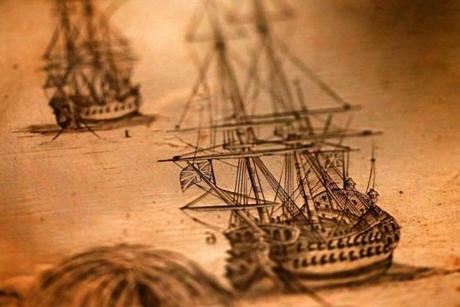 Detail of a copper etching by Paul Revere used to reproduce artwork for sale of British troops landing in 1768. Guests visited with archival items during the opening celebration. John Hancock's signature at the bottom of his inaugural address as Governor.